Want to get the spectrum of information about footwear? Or want to get one to one information of footwear, materials, components, machinery then; you ought to visit Brand India footwear, a grand event nestled in Bombay Convention and Exhibition Centre, Mumbai as you ought to experience ecstasy of information pertaining to footwear and that too all under one roof. 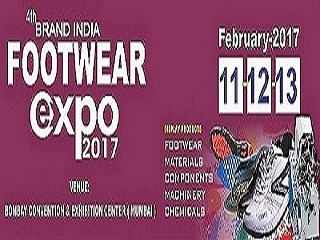 The event is organized in wide scale to provide all the necessary knowledge pertaining to products and accessories of footwear industry. One can get great opportunity to meet industry agents, wholesale dealers and retailers who are keen in market expansion with the new products displayed in the manufacturers at the Expo.